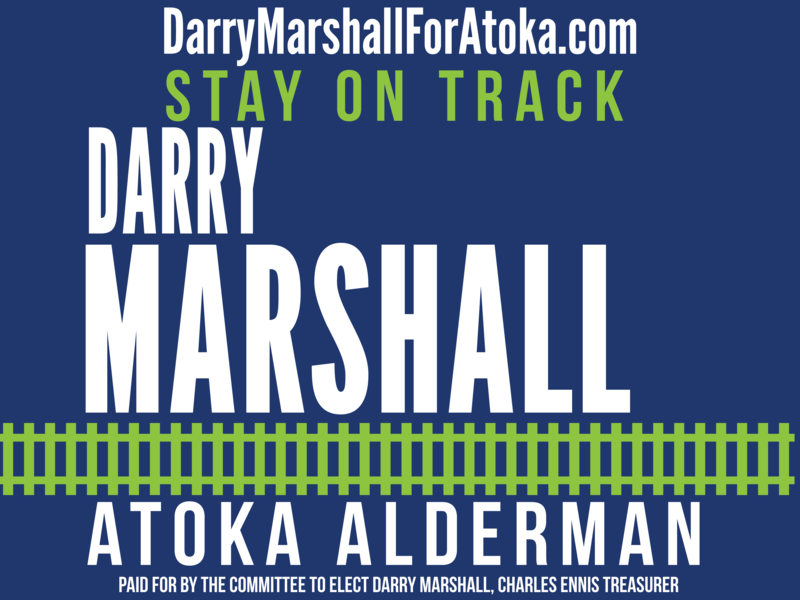 I am thrilled to be an Alderman for the Town of Atoka. I am a conservative and like most of you, don’t like new taxes. So I understand the importance of being a responsible steward of the town’s resources. Currently, I am a volunteer football coach at Brighton High School and humbly serve as a Sunday school teacher for a wonderful group of Christians at Gateway Baptist Church. Although I still am a work in progress, I strive to live my life according to Christian principles. If elected, I will seek your input and work very hard to make sound, reasonable, and fair decisions that will continue to improve our community. YES! I would like a yard sign.